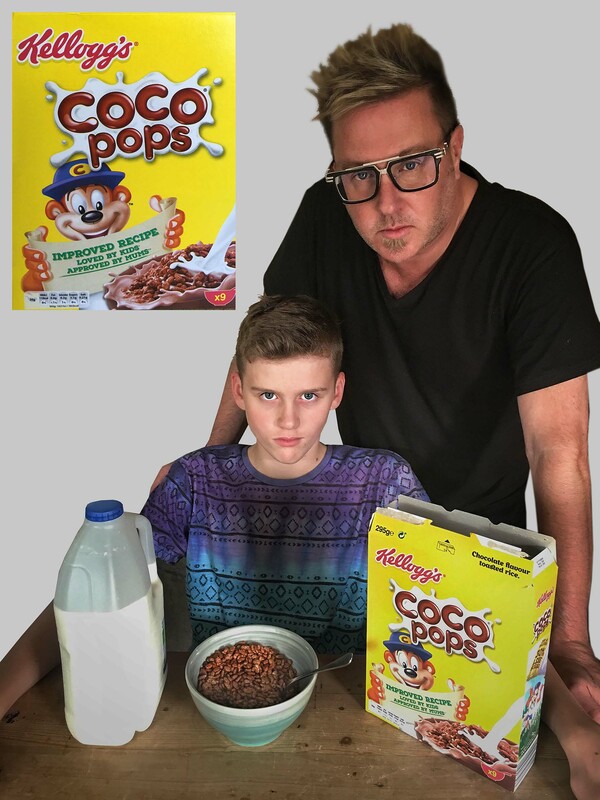 Pic: Disappointed Coco Pops fan Archie O’Connor with his dad Matt O’Connor. Father-of-three Matt O’Connor, 51, from Clapham, and ‘Tremendous’ Paul Robinson, 56 from Portsmouth, Hampshire, staged a protest at Asda in Peterborough today over what they say is ‘cereal discrimination’ against dads on packaging for Kellogg’s Coco Pops. 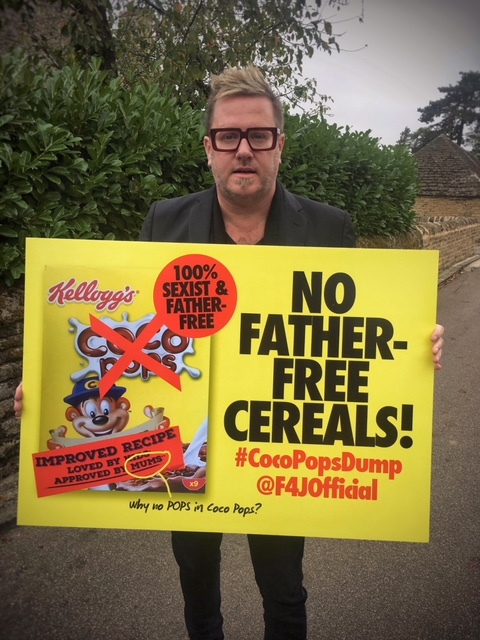 O’Connor, who is the founder of campaign group Fathers4Justice, went into Asda in Peterborough with Robinson today to protest about the packaging by dumping packs of Coco Pops onto the floor before pouring milk on them as he asked shoppers to ‘dump’ Coco Pops and boycott the brand. O’Connor said he was horrified when he saw the packs while shopping for cereal for his son Archie. 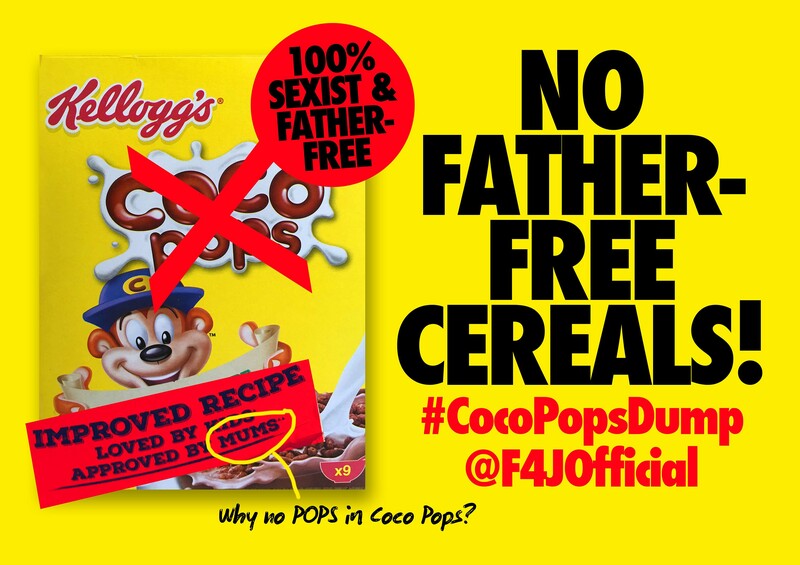 “Kellogg’s and Asda should immediately apologise to fathers and re-sticker every pack to read ‘Approved By Mums & Dads’. O’Connor had also been contacted by dad David Maxwell, 46, from Hamilton, Scotland. Said Maxwell, “I was angry when I saw there was no mention of dads on the packaging when there are a lot of single dads out there. Fathers4Justice say that too retailers are guilty of prehistoric gender stereotyping and deliberately exclude fathers from their branding and marketing. They also say that new research has found that 80 per cent of millennial dads claim primary of shared grocery shopping responsibility. Read more here. Fathers4Justice have previously called out Asda for sexist Christmas cards, Mothercare and sexist M&S labelling. 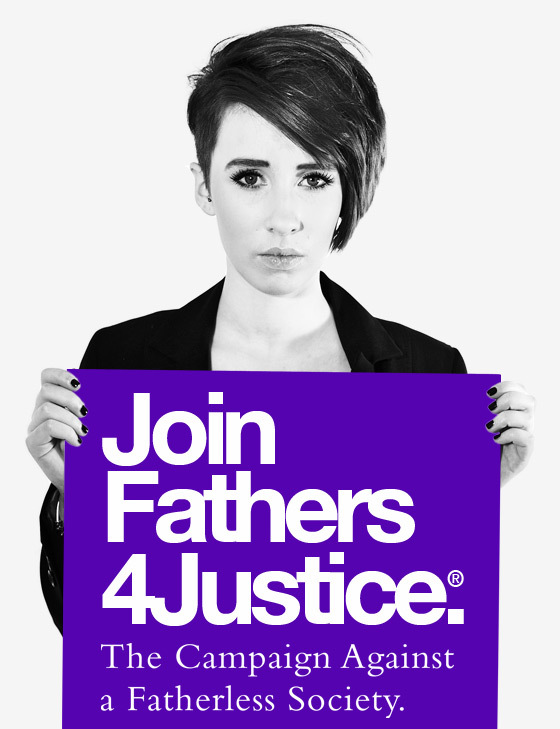 For further info contact office@fathers-4-justice.org or follow @F4JOfficial for Twitter updates.